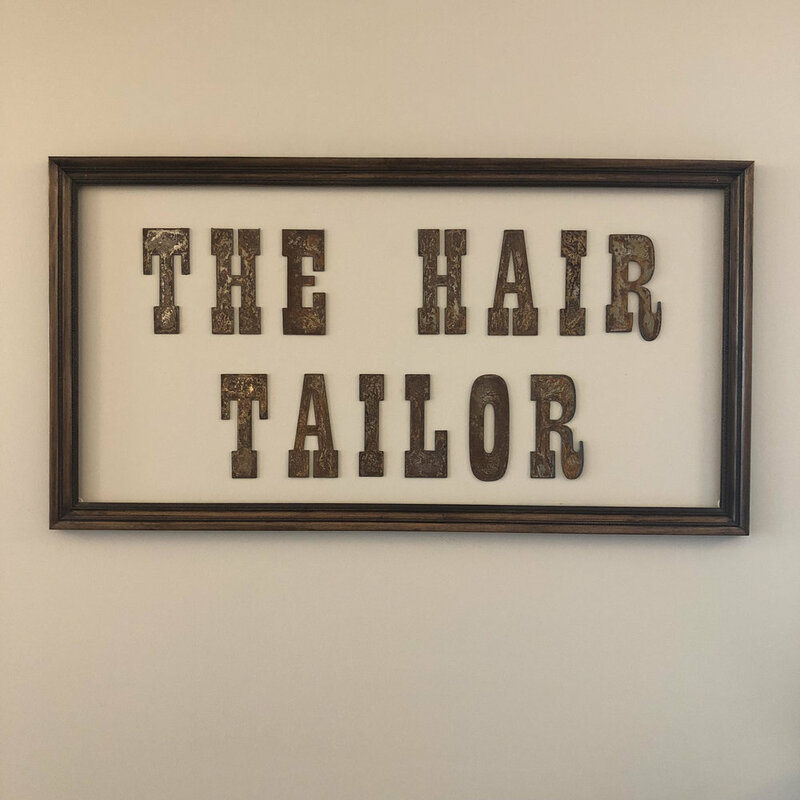 20 Fun Facts About The Hair Tailor Salon & Team — THE HAIR TAILOR. 1. Our building, the Isaac Staples Sawmill, was originally built in the late 1800s. It's been used for a bunch of different purposes over the years including flour mill, lumber mill, and a manufacturing company for windows and doors. 2. There was a fire in 1894 that destroyed all of the wooden structures leaving only the limestone smokestack. The current metal-sided building that stands today was rebuilt by the Stillwater Manufacturing Co in 1900. 3. Before The Hair Tailor was established in 2015, the salon was an art studio space — hence all of the paint splatter you can see on our existing floorboards. We love it! 5. Because the salon is on the third floor of the building, it stays nice and toasty warm in the winter. We also get tons of natural sunlight year-round, so we open our windows all the time, too! 7. You've probably noticed that our entire team follows an all-black dress code. We've chosen the all-black wardrobe life because it looks nice, clean, and professional. Plus we would ruin our other clothes if we didn't wear dark colors. 8. Believe it or not, every stylist at The Hair Tailor is currently wearing EasiHair tape-in extensions. We didn't plan it that way, we all just love them so much! 9. You would think that working at a hair salon means you get your hair done whenever you want to. Truth is, we are the last people that usually get to have a little love and attention! It's just hard for us to find time to spoil ourselves! 10. We proudly serve River Moon Coffee, locally sourced from River Falls, Wisconsin. We love it SO much (probably a little too much actually). 11. Since The Hair Tailor is located right in downtown Stillwater, we are have access to many amazing local restaurants and eateries. We eat out way too much! If only if these places didn't deliver . . .
12. Jenna Fossum is our fearless leader, but when Jenna Lundell joined our team a few months ago, we had to find a way to distinguish between the two. We tried to get Queen Jenna and Princess Jenna to happen, but it just didn't stick. We decided to go with Boss and Jenna L. in the end. 13. Elysia (one of our amazing receptionists) joined our team this spring and nobody knew how to pronounce her name. She had to correct us a million times and we finally got it down. Wait . . . it's ah-liss-ee-ah . . . right? 14. One half of our team (Jenna F., Jenna L., and Lydia), live in Wisconsin, and the other half (Carlee, Felicia, and Elysia) live in Minnesota. Good thing we aren't football fans . . .
15. Lydia, our Salon Operations Manager, is the third of eight kids and one of two girls. Is it any wonder she likes to come hangout at work on her days off? 16. Jenna Fossum is a total clean freak. We sometimes have to force her to leave the salon at night or she would literally stay all night tidying up! 18. About once every quarter, we cut out clippings from our stockpile of magazines and collage individual dream boards. Once they're complete, we share our goals, challenges, and inspirations we put on our boards at our monthly team meetings and hang them on the wall as reminders! 20. We consider each member of our team as part of our family. We truly believe our communication, camaraderie, and relationships are the foundation for the positive and relaxed atmosphere we create for our clients. Did you learn anything new about us at The Hair Tailor? We're absolutely loving spilling it all for you doin' this new blog thing. Have a specific question or topic you want us to cover? Leave us a comment letting us know! Believe us, we've gotcha covered! Never been to The Hair Tailor? We'd love to meet you! Learn more about our services here.